Command & Conquer Red Alert gives you the opportunity to be more devious, cunning and ruthless than ever before. Easy to play and highly addictive, Red Alert puts the fate of the world in your hands. Take your fight over land, sea and air with MiGS, spies, destroyers, submarines and more. Choose your weapons, Defend your base with Tesla coils, AA guns, camouflaged pill boxes and guard dogs, Surprise the enemy with the Iron Curtain, the Chronosphere, the Gap Generator and the arsenal of powerful weapons. Two sides to choose from. Over two dozen Allied and Soviet missions to two action-packed CDs. Lend one to a friend. Command your forces with the Game Controller or Mouse for the PlayStation game console. Battle in Skirmish Mode against up to 3 AI opponents, or challenge a friend in a head-to-head game with the Link Cable for the PlayStation console. 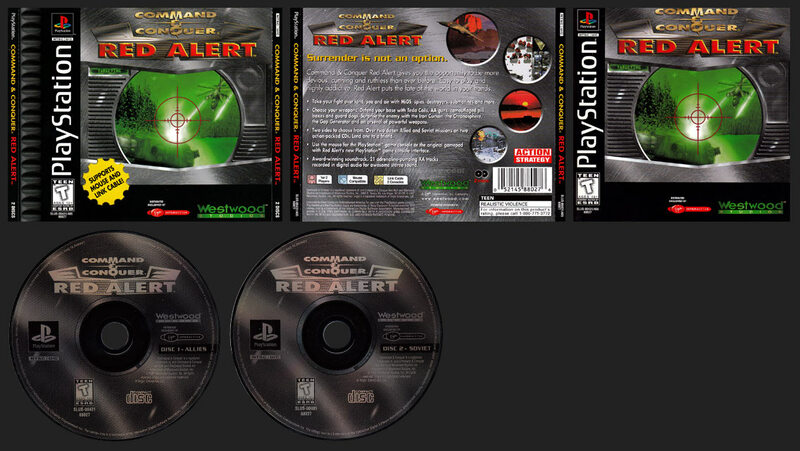 Red Alert got a re-release when Retaliation was released. The release adds review scores and makes some of the graphical copy more presentable. The discs are slightly changed as well. 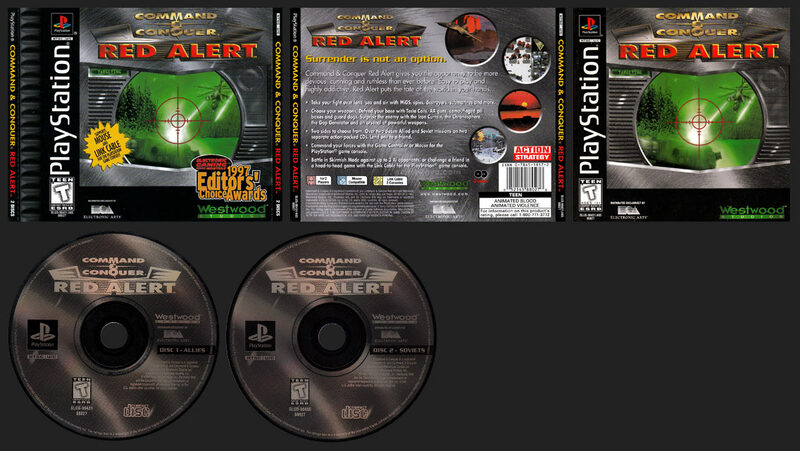 Command & Conquer: Red Alert.